We believe all business is human to human. Although we may be experts with numbers, our true interests lie in the heart and soul of your business – because we understand that you need an accountant that cares about more than spreadsheets, taxes and balanced budgets. is looking for an accountant who will help to maintain their business’ basic financial needs and is open to new habits that ensure seamless and efficient accounting. is comfortable with their business’ current position, but aspiring for long term growth gained through expert knowledge on day-to-day accounting. is enthusiastic about their business’ future; however recognizes that in order to achieve their dreams, they need an expert to help develop a strategy. Keep the heart of your business beating strong with the most basic of TSPC’s service packages. The Sensible package includes fundamentals to ensure the stability of your business – such as year-end tax reports and financial statements. Start prescribing your business a daily vitamin. Payroll, bookkeeping and GST returns are just a handful of the practices that help to keep your business healthy. Of course, you’ll enjoy all the benefits of the Sensible package as well. Make the dreams for your business a reality with the optimal formula for success. The Ambitious package will help to achieve your business dreams by acting as an off-site Chief Financial Office (CFO) through quarterly checkups, business advice and financial recommendations – in addition to the services included in both the Persistent and Sensible packages. 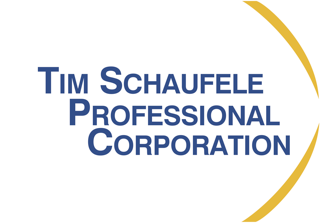 Over 25 years in both public and private practice, Tim is the head Certified Professional Accountant at TSPC. 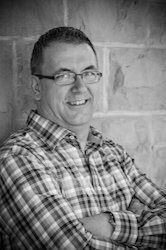 A Calgary small business owner first and an accountant second, Tim understands the importance of precise accuracy, direct communication and unwavering trustworthiness. 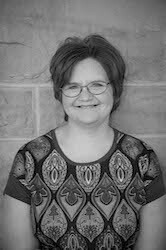 If Tim Schaufele is the brains of the operation here at TSPC, Loretta would be the heart. Her background in theatre, childcare and bookkeeping contrast Tim’s technical background to create the perfect pair that can only be described as symbiotic. Human to Human and some great stories as well. Insight and articles about more than just accounting and bookkeeping. We are open extended hours during tax season to accommodate your needs during this busy time. Reach out to TSPC today and we will return your message within two business days. Keep up to date with changes that may affect you!